In all seriousness, I did use the zoom a bit there 😉 , but not much! Overall, it truly is beautiful, and certainly makes for a memorable experience. And most tables at Coral Reef have a pretty decent view of the “show.” Most will experience stadium-style seating, with the booths being rounded out to face the the aquarium (though there are also more standard tables for smaller parties as well). 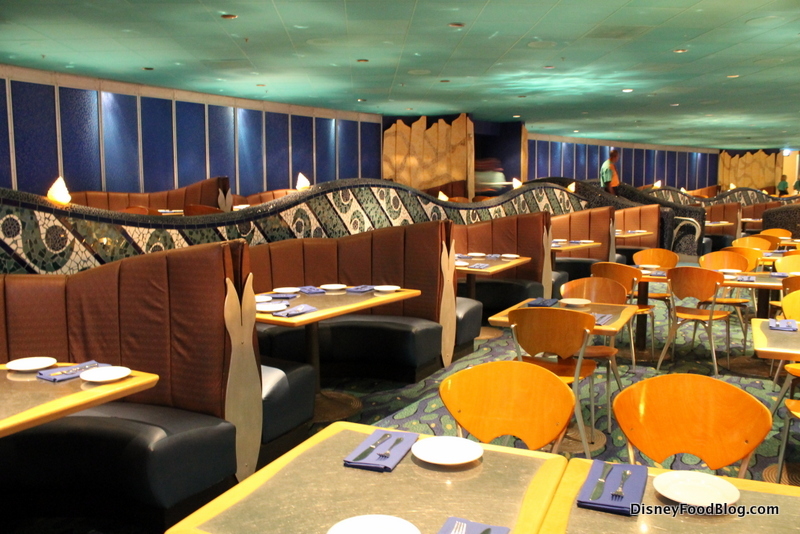 One criticism would be that the tables really are packed in there, to maximize the number of diners at each seating. Some tables might be a little close for my taste. One last bit of atmosphere: when I mentioned “Under the Sea,” I was only being a teeny bit facetious :). 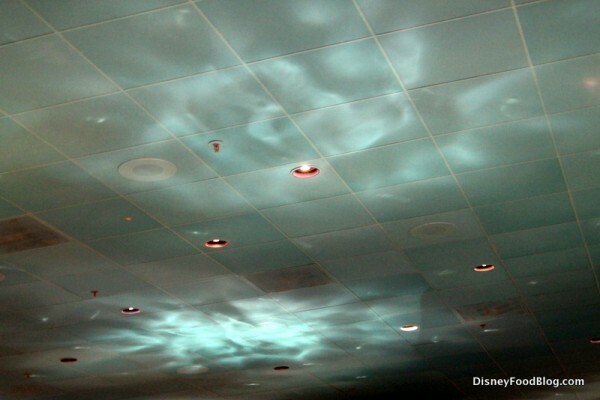 If you look up at the ceiling, blue-green light reflections give the fun impression that you are dining under water. 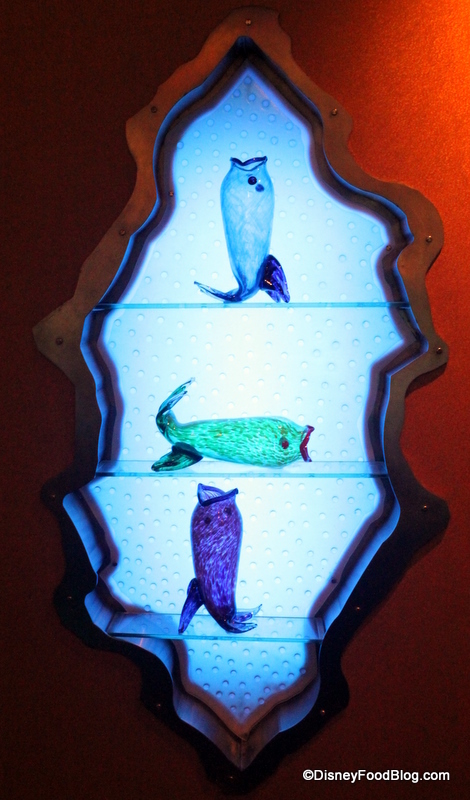 And with the scene set, it’s time to dive (completely intentional water-themed restaurant pun!) in! 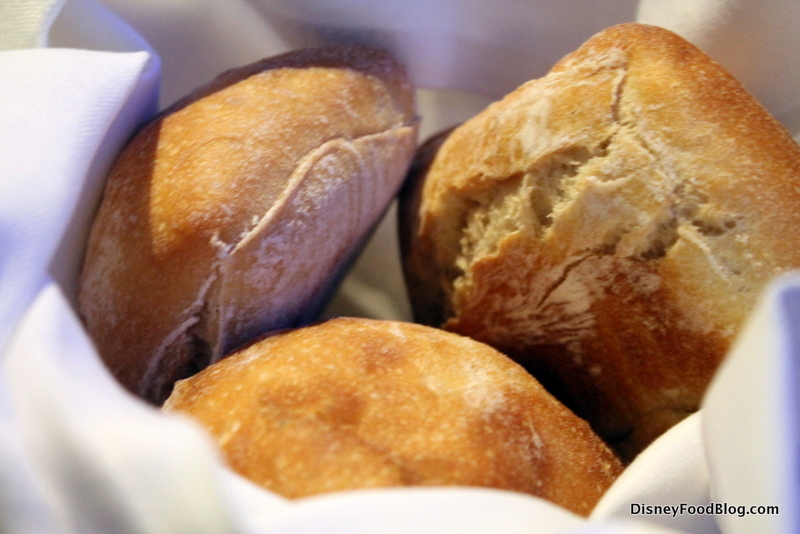 Our server brought us nicely warm bread and butter with black sea salt to enjoy while looking over our menus. 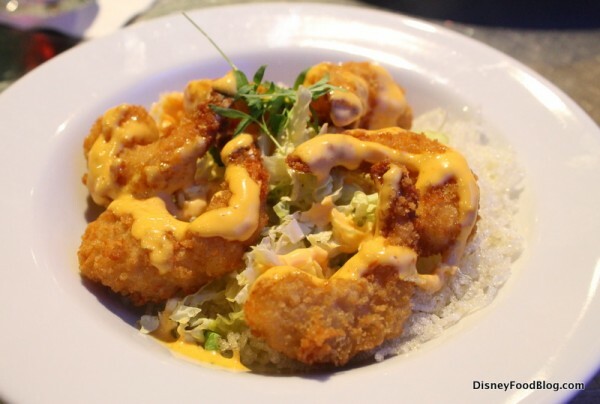 First, we selected the Coral Reef Sriracha Shrimp. 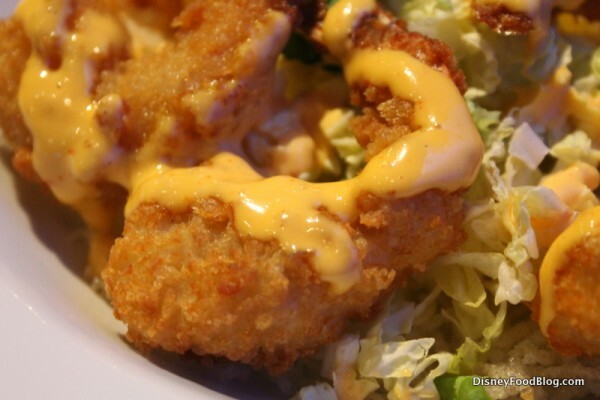 The shrimp were nice and plump, and I loved the kick of the sriracha chili sauce over the tempura batter. I’m not even as big a shrimp fan as my husband is, but we both agreed these were delicious. The rice noodles under the shrimp are mainly just a super crunchy garnish, but more than anything I enjoyed the appearance of them. For whatever reason, the translucent, almost “bubbly” appearance of the noodles just fit somehow in the underwater setting. 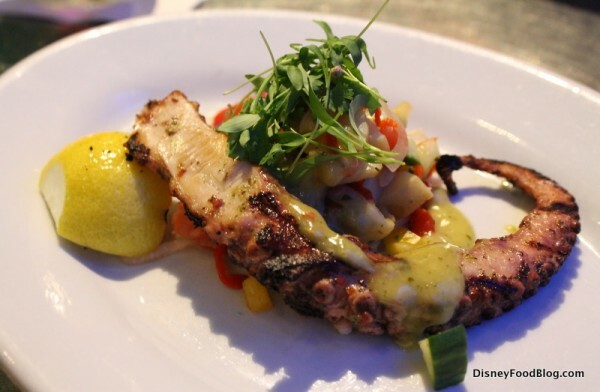 You may recall that we recently sampled the octopus dish at Le Cellier, and since it’s becoming more of an option at Disney World restaurants as of late, we figured we should give the Charbroiled Octopus a go here, too. 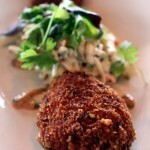 At Coral Reef, it’s served with Mediterranean Potato Salad and Grilled Lemon. I’d never tried octopus before, and found that the flavor was surprisingly mild without being bland and not overly “fishy.” I really don’t want to use that word twice (it’ll come up again later), but that really is the best way I can think to say it. I also liked the bit of char. The texture was tender and I’d describe it as meaty — somewhat like a scallop, though I did find it a bit chewy as well. I would totally get the shrimp again, but for me, the Octopus was a one-time thing. I have no problem with the preparation, but personally speaking I couldn’t get past the vision of the suction cups 😉 . 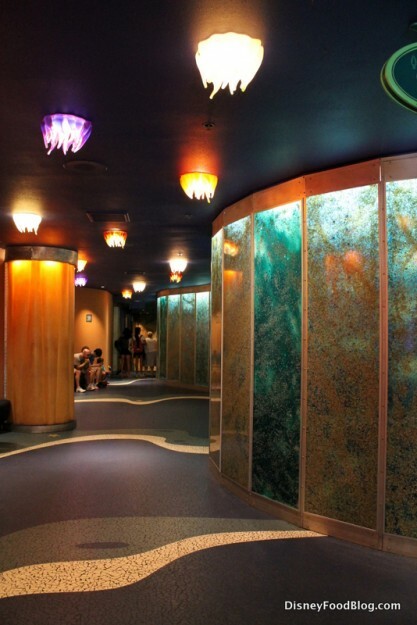 Still, if Octopus is a bit of an adventure that you might be up for, I think this is a solid place to give it a try. When it came time for entrees, our terrific server said the Seared Mahi Mahi continues to be one of the two most popular entrees at Coral Reef. 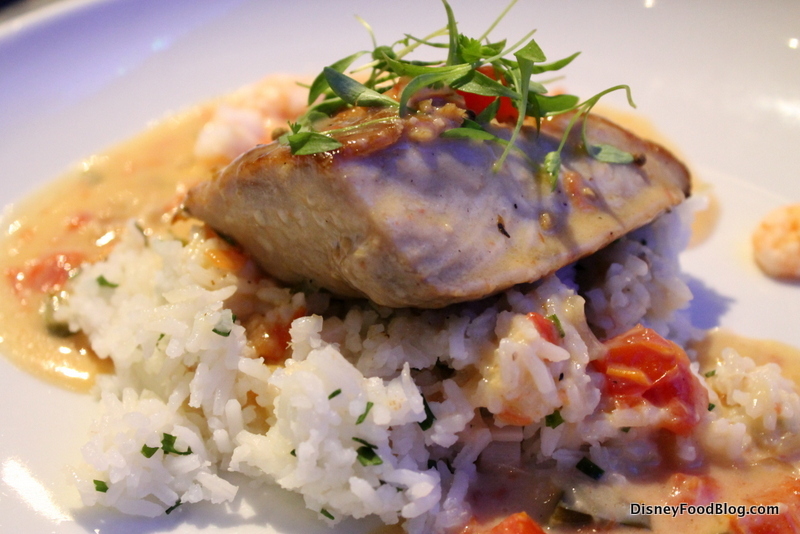 I’d enjoyed this dish here once before, and on this visit I found the Seared Mahi Mahi to be a consistently good choice again. 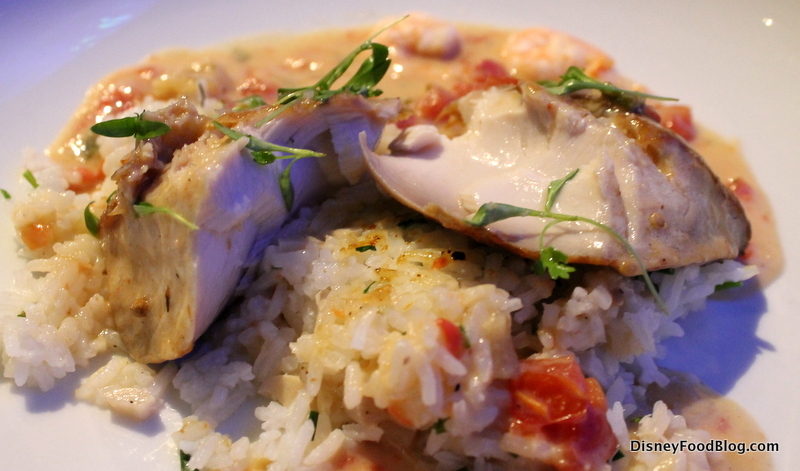 The fish is flavorful and very tender. I love the accompanying jasmine rice with cilantro, but it’s the tropical flavors of the coconut-lime sauce that really put this over the top for me. All the flavors and seasonings just come together really well. After enjoying the Sriracha Shrimp, the shrimp that accompanies the Mahi Mahi definitely seems like more of an afterthought, and is not a highlight of this dish. 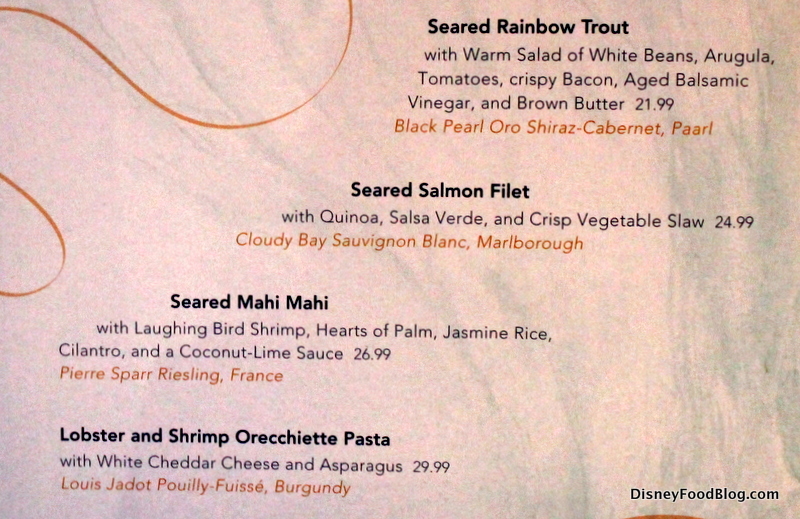 Overall, though, I think the Mahi Mahi remains a great option for those who don’t have a huge fish palate, but would like to give the seafood a try here. 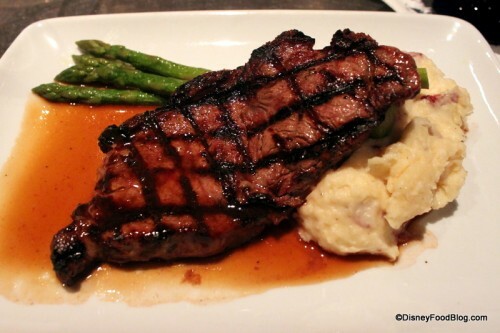 To see a full review of the visit that included the New York Strip, just click here. 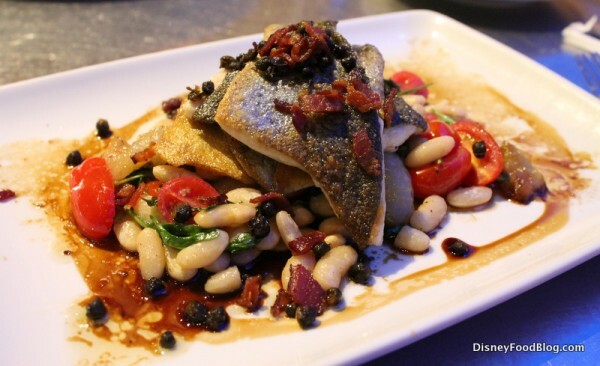 My husband chose the Seared Rainbow Trout, served with a warm salad of white beans, arugula, tomatoes, and bacon, dressed with Aged Balsamic Vinegar and brown butter. 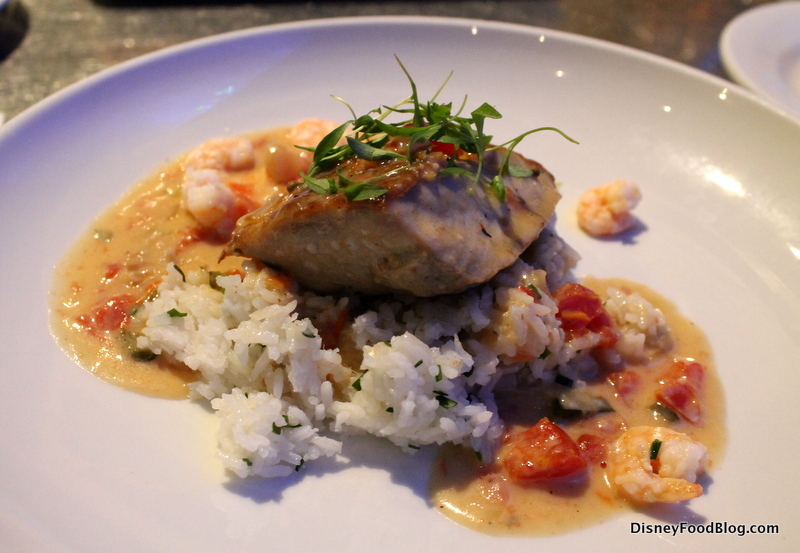 Unfortunately, this dish didn’t fare as well as the Mahi Mahi. My husband describes it as “overly-fishy” (there’s that word again! ), and while you obviously expect and even anticipate a fish flavor (what with it being fish and all 😉 ), it struck him as a bit too strong, and not as fresh. 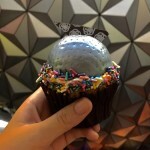 He also thought that the texture was somewhat tough. He wasn’t a huge fan of the bean salad, either. To be fair, he doesn’t tend toward bean salads, but he wasn’t anticipating that it would make up such a huge part of the dish. 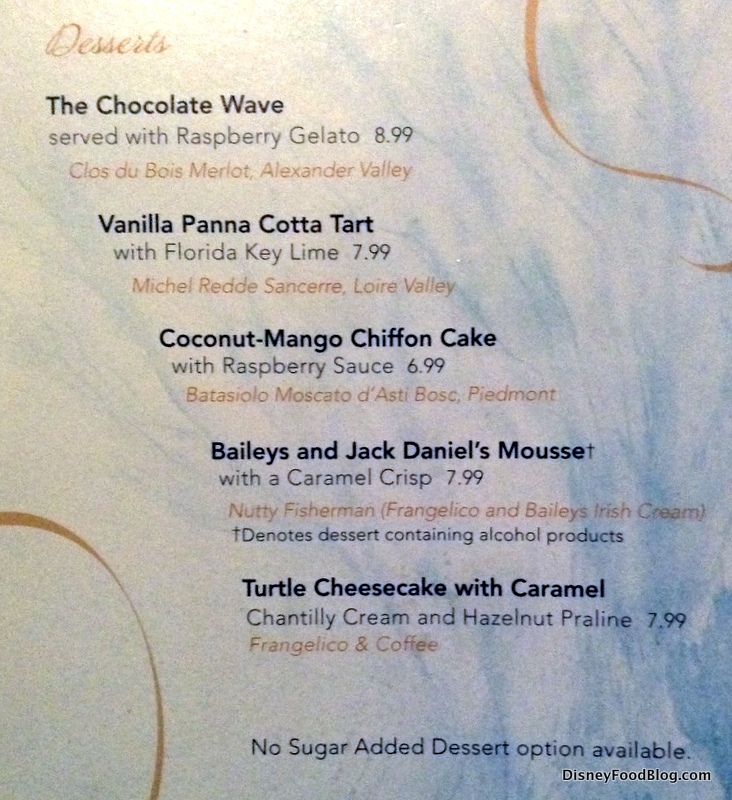 … which is the signature Chocolate Wave served with Raspberry Gelato. You may recall that the last time we tried this dessert, it unfortunately didn’t live up to expectations. 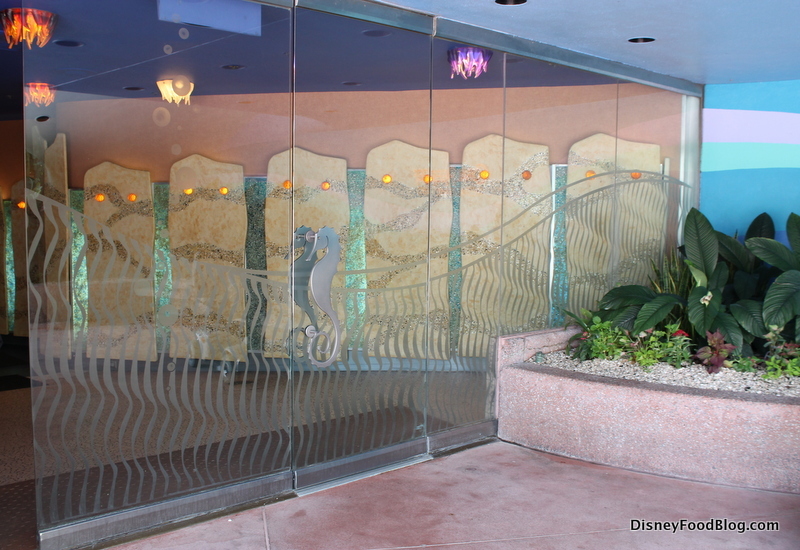 I’m happy to report that on this most recent visit, the Chocolate Wave was back on its game! 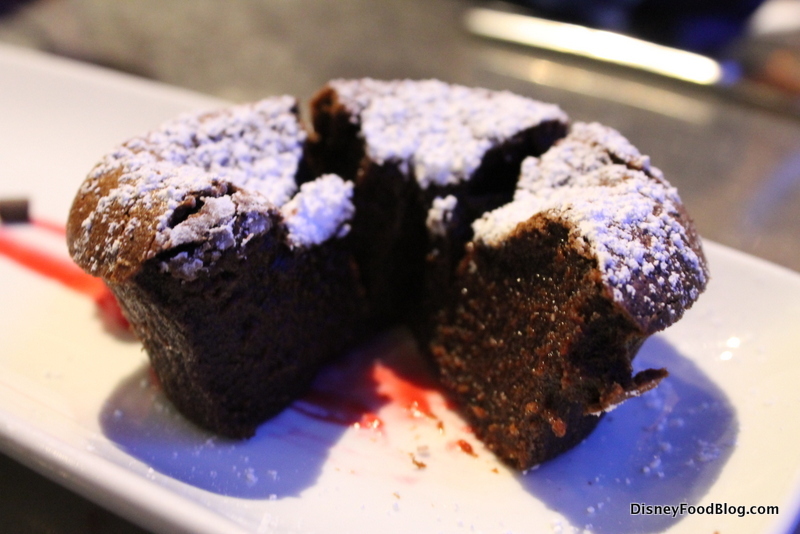 I should note that there was no “lava” (or melted chocolate) oozing out of it. But it was served piping hot and had that delicious, fudge-y, not-quite-cake-yet-but-not-entirely-melted inside texture (if that’s a thing 😉 ) that pairs so nicely with the crisp outside and makes for a truly decadent finale. 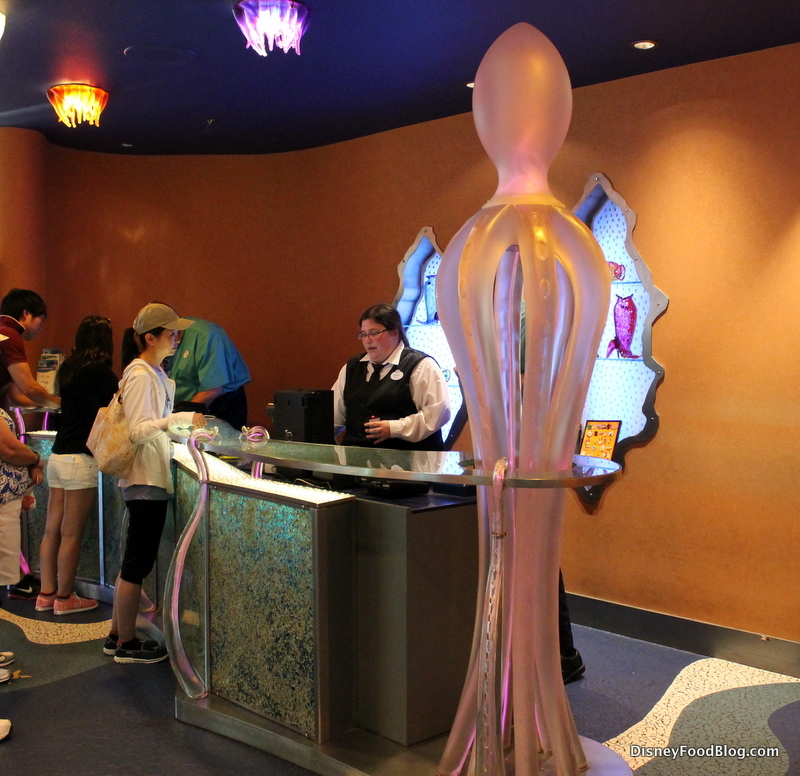 As always, I still tend towards World Showcase for my favorite Table Service restaurants in Epcot for cuisine. 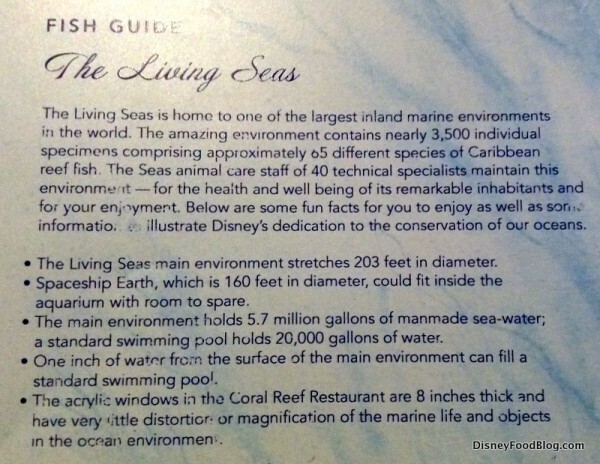 But I think Coral Reef is a good candidate for the try-at-least-once list, and for some, it’s made its way to a tried-and-true tradition. 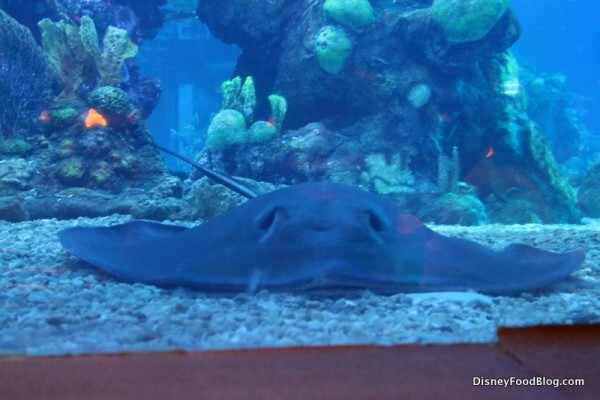 I like seafood, but it’s not my favorite. 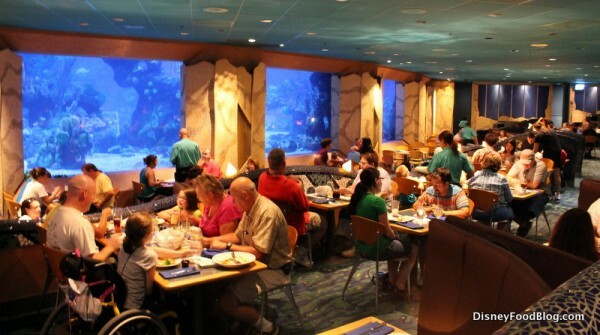 Still, dining while viewing the aquarium is just plain fun, and the decor is total retro-Epcot. 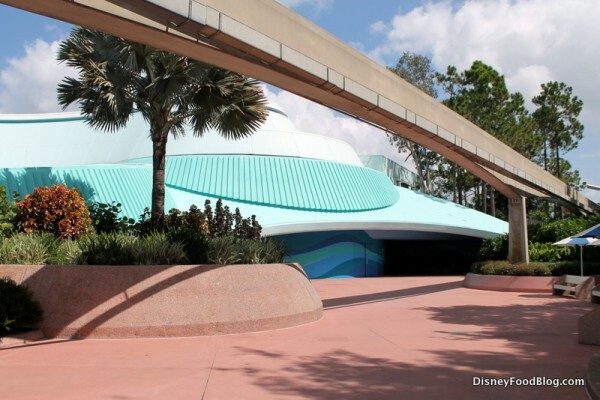 Have yourself an Old School EPCOT night — and if you’re visiting Coral Reef in the next few days after this is published, be sure to top off your visit by being one of the last riders from now until forever on The Maelstrom (it’s last day in operation is October 5th), for a real “back-in-the-DAY” experience. 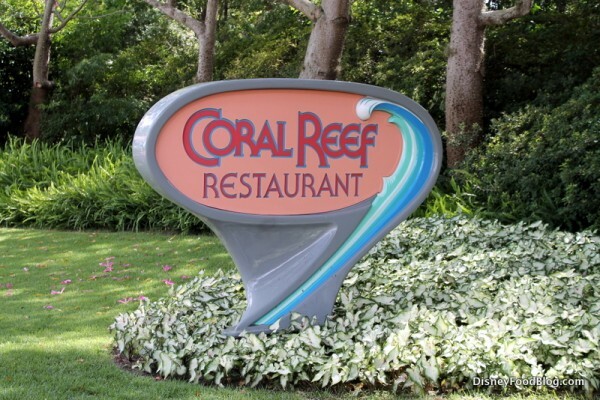 Have you dined at Coral Reef? If so, what did you think? Please let us know with a comment! Last time I was there (years ago) we had a cute dessert I think raspberry something in a white chocolate seashell and we got Mickey mouse shaped butter (not the patties but a whole like 3 inch figure) Those are the added touches I miss. 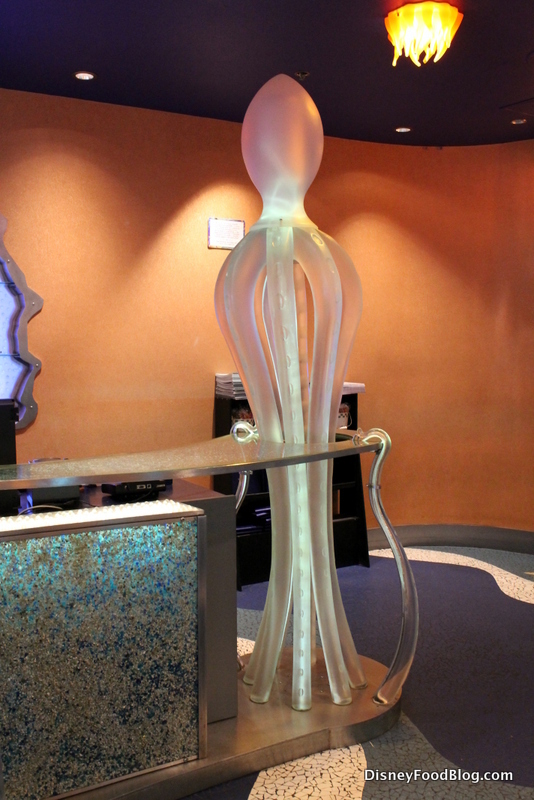 Little extra’s that make it an experience not just a meal. Help’s paying the rising ticket prices and cost of dining at Disney easier to swallow. Anyone else remember little extra’s that are not available anymore? I love CR! I find it worth the time to travel over from HS, where I do not like any of the table-service options. 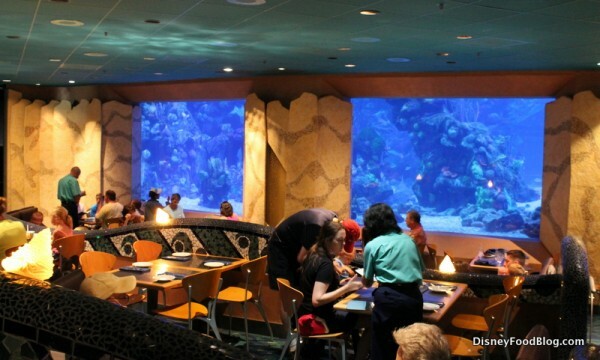 Even though I am not a huge seafood fan, I love the ambiance and eating a delicious steak in front of the aquarium. Gorgeous! It’s nice to see a good review of the Coral Reef. We’ve seen so many bad ones that we have shied away from it. It might be worth a try after all. 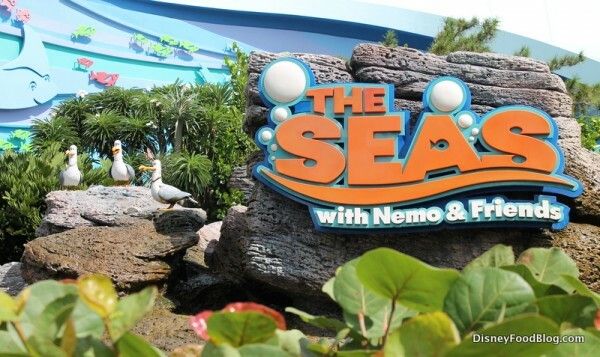 I’m a bit perturbed that they serve seafood in an attraction that celebrates sea life, especially one themed around Finding Nemo. It’s like having a steakhouse themed after Home on the Range. This restaurant has quickly turned into a must try place for me and when I give recommendations to a don’t even try. 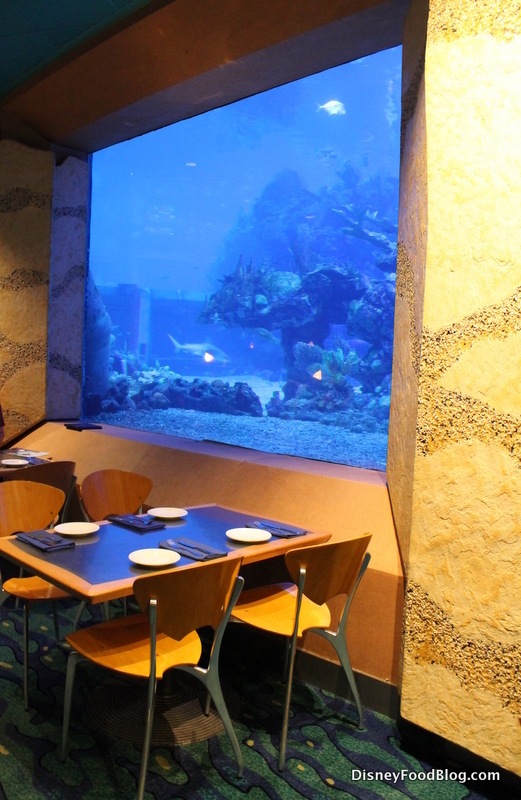 Over the past 4-5 years CR has taken a nose dive from a very nice seafood restaurant to bland, small serving size unattractive menu’d place to sit in eat in front of an aquarium. 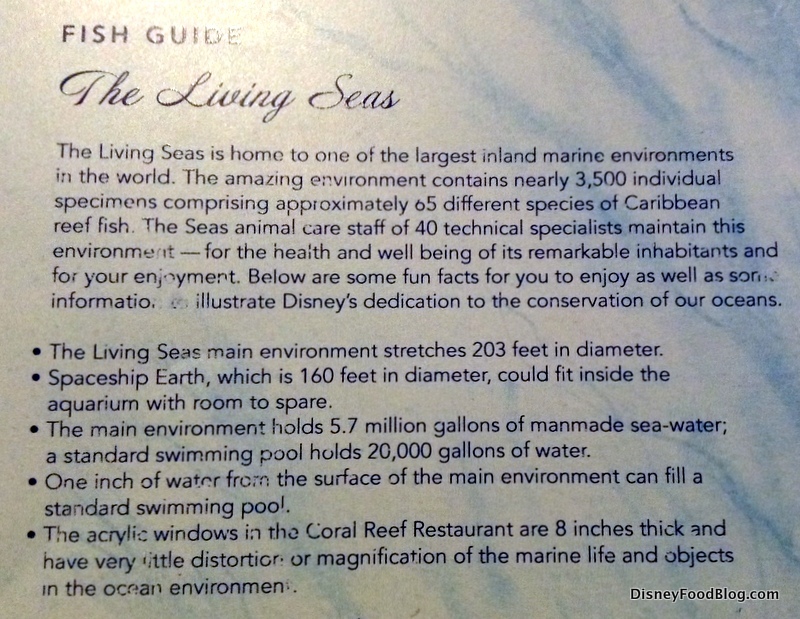 Surprised the author did not talk about her serving sizes….You paid 27 bucks for a mahi mahi that looks to be the size of a baby’s fist. 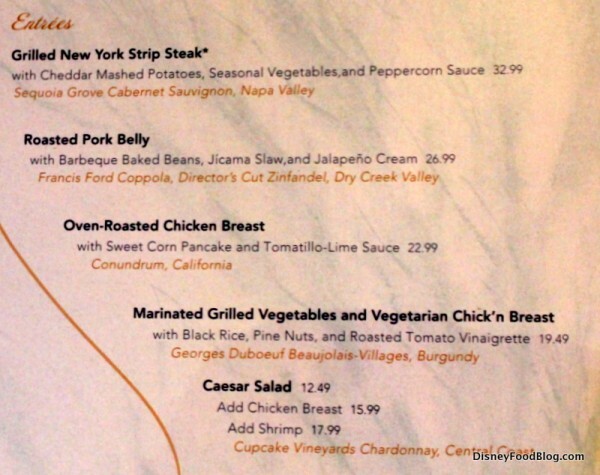 Your husband’s order, what’s that a Bean salad with a trout add-on? Whether that was a lunch sized serving or not they should be ashamed and that is why I am done giving this place a chance to redeem themselves and instead just pass. First let me say, I love Disney World and still feel the magic, but I agree that some of the little things that made it so unique have gone away. 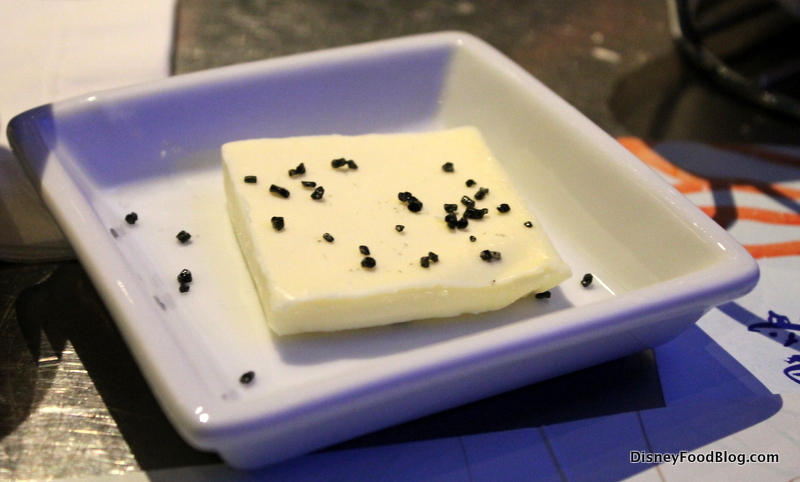 I do remember at every restaurant the butter was in the shape of Mickey in some way or another. 9 days and counting. Just wondering if the vegetarian chicken breast is Gardien? Hannah, I love all things Disney too. Just miss the unique things too. Sad that my granddaughter will miss them. 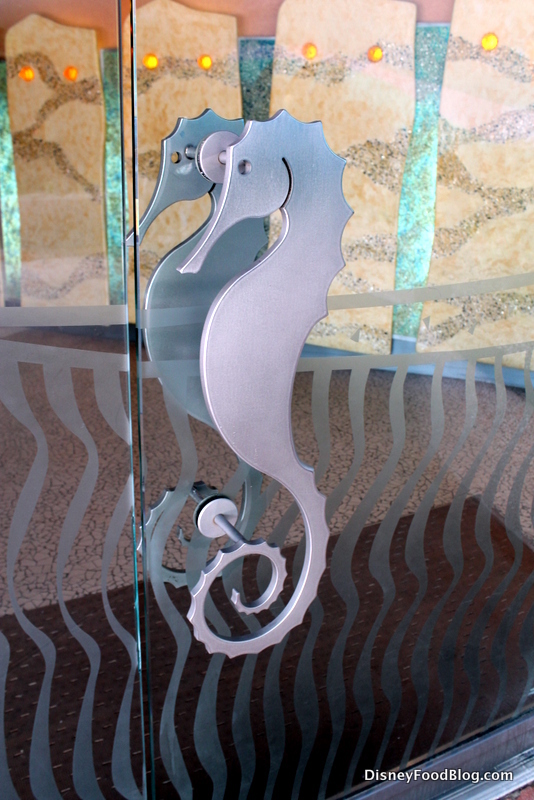 Just little touches that you will always remember. Thanks Joni…I was trying to remember some of the forgot little features. I remember those as well. At some of the sit down restaurants we also would get a little “something” from the chef. An extra dessert to try, extra appetizer. Just little things that made it a little more special. Also, I must say…although there are very friendly cast members, there seem to be a few less that feel the magic. I’ve been here a few times over the past 20 years and always want to like it better than I do. It’s always been just good enough for the atmosphere to compensate but not good enough to make me a regular. The issue is consistency. One time I’ll have a lovely trout, the next time it tastes frozen. Three of us will have a great meal and the fourth person will find it sub-par. It feels ole the reateraunt disney forgot in their effort to push folks into World Showcase after 7pm. Their known or name chefs tend to be put out in WS or the Boardwalk. 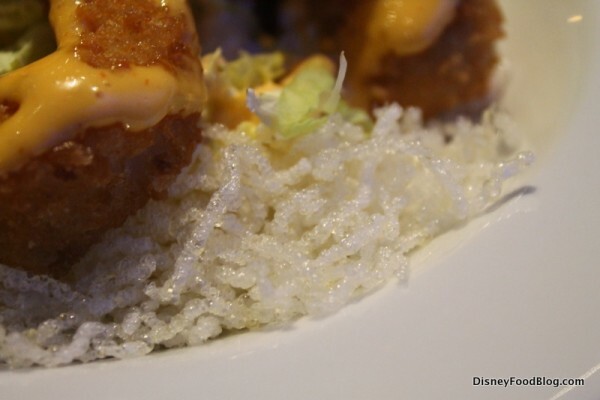 There is no reason this can’t become a showcase with food on par of The Wave. 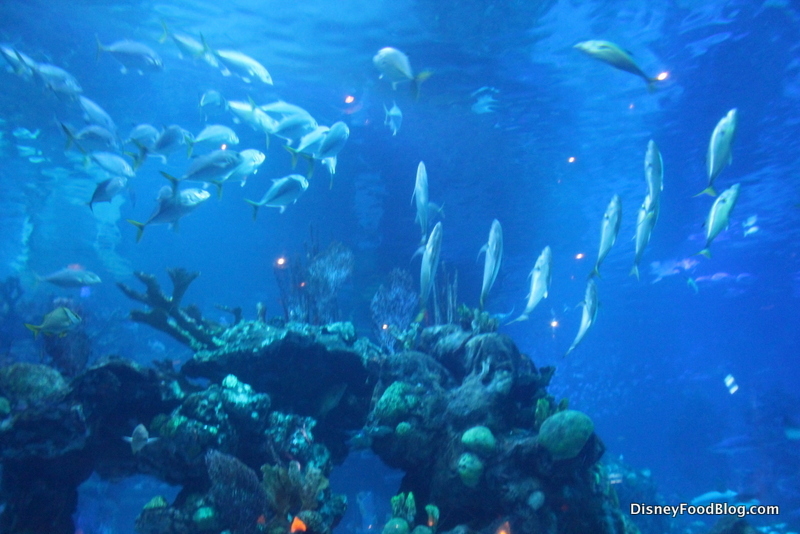 It had been a few years since we ate at the Coral Reef. It was pretty disappointing. Sharks Grill at SeaWorld was so much better we never bothered to go back to Coral Reef. Basically the design of the place seems to be an after thought in the whole complex. Love Turtle Talk, but don’t need to stop in Crush’s restaurant. 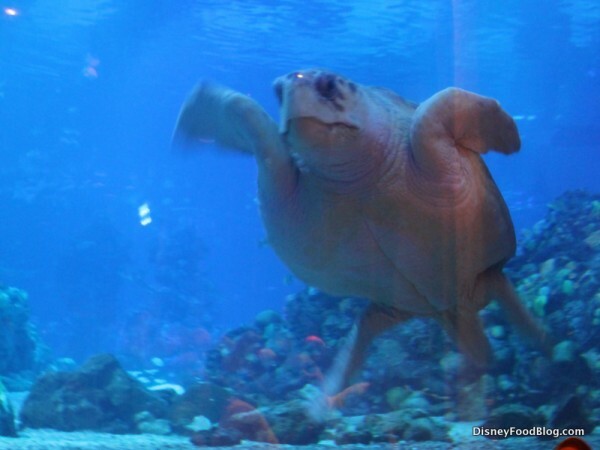 If you are looking for great food in an aquarium setting go to SeaWorld. 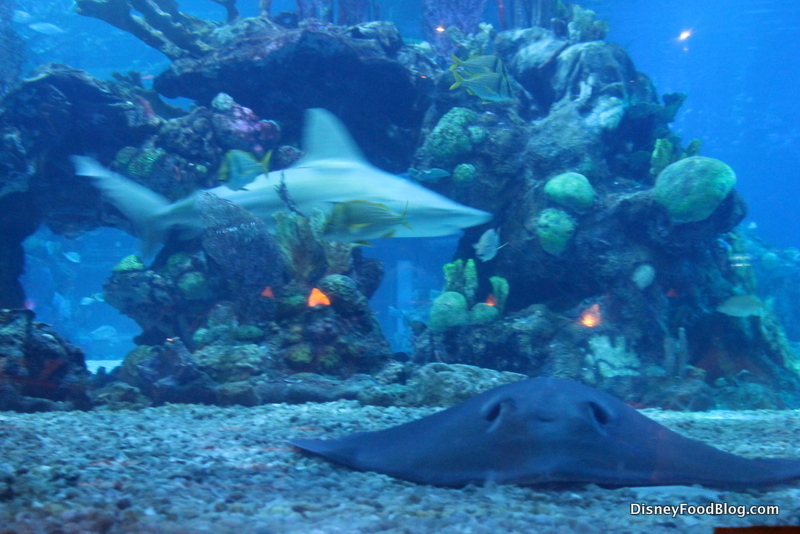 I love the aquarium and being able to watch while I’m there. I do, however, think the prices are a little high or that the food could be better (or more generous). 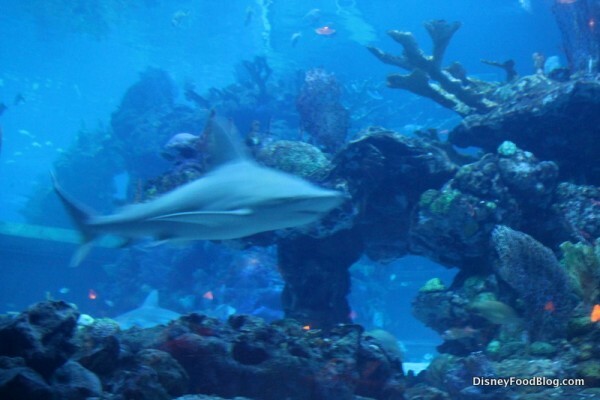 That aquarium gets to me though…..
We visited Coral Reef for the first time a few weeks ago and were glad we’d made the reservation. We went at lunchtime and started with the same two appetizers you had. I ordered the shrimp, DH the octopus, but of course we each tried both, and both were quite good, although I preferred the shrimp. 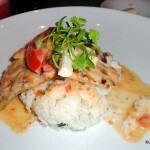 For entrees DH got the mahi mahi and I got the salmon. Again, both quite good. I liked the salmon more than the mahi mahi, but thought the mahi mahi’s side dishes better than those that came with the salmon. 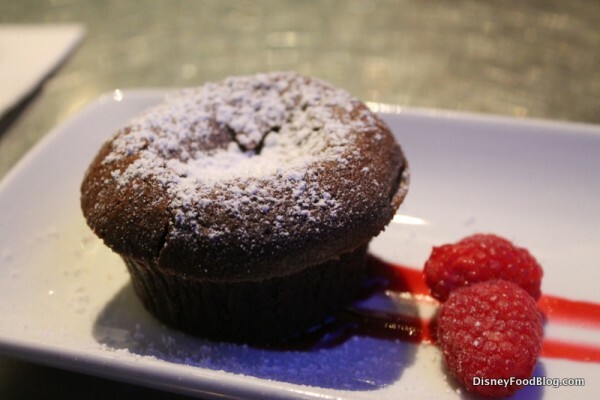 As for portion size, which others have criticized, we found them to be just right (as opposed to the gargantuan servings offered at so many Disney restaurants as well as American restaurants in general). In fact, we didn’t have room for dessert. 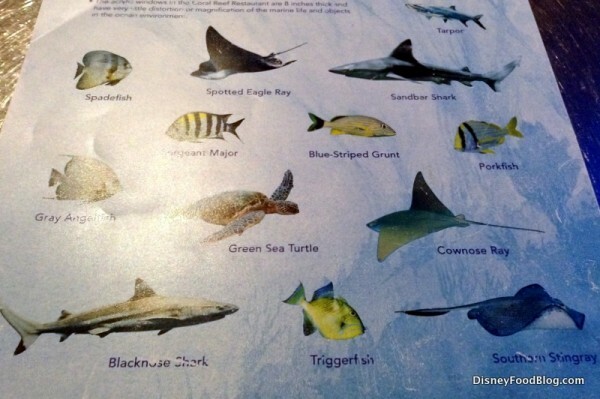 We will definitely return to Coral Reef. 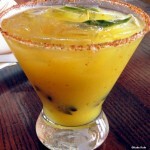 @Val – yep! The vegetarian Chik’n Breast is Gardein – similar to the ones that come in the packs of their Chick’n Scallopini, etc. that come frozen at the grocery store. I’ve had the entree here at Coral Reef a couple of times and it is SUPER tasty, good big portion (three or four large pieces of the meatless chicken) and the rice is awesome. 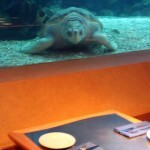 The one and only (so far) time we ate at Coral Reef, I ordered the steak and it was excellent! Makes me a little nervous about going back because the first experience was so good, I don’t want to be disappointed! I’m sure we will go again at some point though. Great review! I have reservations for lunch here in December as part of the Candlelight Processional package. After seeing the photos and reading the reviews of the seafood, I think I’m going to order the steak. Trout should be very tender and mild tasting, never fishy and tough. 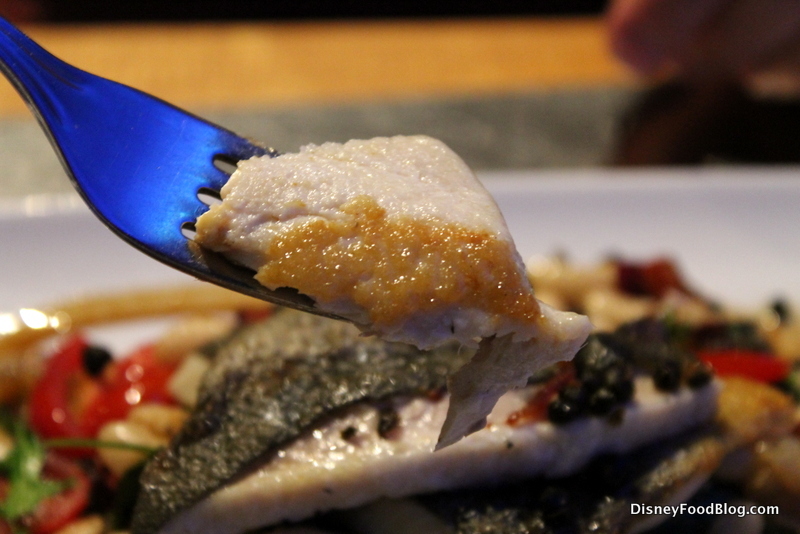 The mahi doesn’t look appetizing, either! 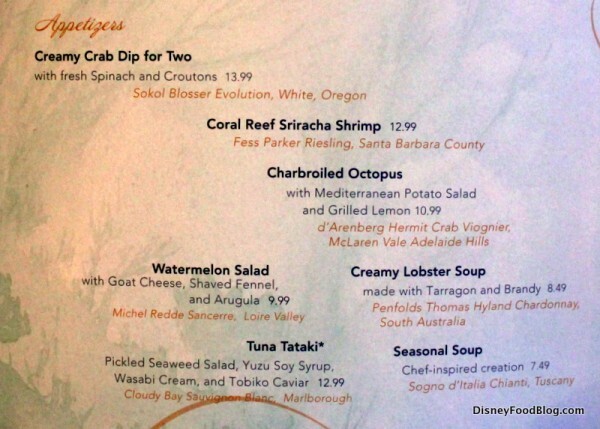 I would like to see the lobster and shrimp pasta, I would consider that. Thanks for the review!